They were up, up being not down but up, at that park at the lake, by the edge of the lake really we mean it when we say that the park was situated not just at the lake but at its edge because these details are important, with part of a downed tree, downed not upped get it, in the shallows half hidden as opposed to wholly hidden by the bank, by which we mean a lake bank and not a place where you deposit checks. Lane A. Dean, Jr., son of Lane A. Dean, Sr., who generally went by just Lane A. Dean when filing his tax returns, no senior thank you very much, and his girlfriend, who was not related to the Deans except carnally and with only one Dean, both in bluejeans and button-up shirts, contemplating why they had decided against button-down shirts. They sat up, not down and certainly not like a downed tree, on the table’s top portion and had their shoes on the bench part that people sat on to picnic or simply to put their shoes on the bench part or fellowship together in carefree times without a care in the world. They’d gone to different high schools but the same junior college, and in college they contemplated why they had gone to different high schools, where they had met in campus ministries not in high school but in college. It was springtime, not summertime, wintertime or autumn, and the park’s grass was very green as most grass is and the air suffused with honeysuckle and lilacs both, which was almost too much and certainly not as much if it had been just honeysuckle or just lilacs. But because it was honeysuckle and lilacs both, this was serious business. The air was suffused, I tell you. There were bees, big bees and small bees, and the angle of the sun, in contrast to the sun’s angle, made the water, water that could be found in the lake in which the park they were now sitting in could be found along its edge, of the shallows, shallow for shallows, look dark. There had been more storms that week, and less storms last week, with some downed trees, all downed, and the sound of chainsaws all up, like Lane and his girlfriend, and down, like the trees, his parents’ street. Their postures on the picnic table, quite up as we have established, were both the same forward kind with their shoulders rounded, forward and up, and elbows on their knees, perhaps to ward off the bees. In this position the girl rocked slightly, still up and forward, and once put her face in her hands, down down down like the downed trees still downed, but she was not crying, for people sitting up and forward do not cry unless you taunt them. Lane was very still and immobile and looking past the bank of the lake that was conveniently located next to the park at the downed tree in the shallows, which had certainly remained downed, and its ball of exposed roots going all directions, not just up, down and forward and not in collusion with the bees or the honeysuckle or the lilacs or all of it, and the tree’s cloud of branches all half in the water, either half-empty or half-full like the glass of water I am now observing on my desk which I cannot decide to be optimistic or pessimistic about, or perhaps up, down, or forward about. The only other individual, not Lane A. Dean, Sr., Lane A. 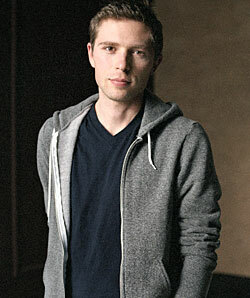 Dean, Jr. or Lane A. Dean, Jr.’s girlfriend, nearby was a dozen spaced tables away, not a baker’s dozen but an absolute twelve tables, by himself, standing upright, not downright and this was up like Lane and his girlfriend we must remind you. Looking at the torn-up, not torn-down, hole in the ground, where you often find holes, there where the tree had gone over, downed as befitting a downed tree. It was still early yet and all the shadows wheeling right, a new direction pay attention, and shortening. The girl, girlfriend of Lane, wore a thin old checked cotton shirt, button-up or button-down, with pearl-colored snaps with the long sleeves down, not up, I believe you catch the auctorial drift, and always smelled very good and clean, not very bad and dirty but we’re leaving the up/down question up in the air for your interpretation even if we must remind you that wafts travel up, like someone you could trust and care about even if you weren’t in love, or like, or hate, or divorce proceedings. Lane Dean, the son not the father, had liked the smell, very good and clean, of her right away. His mother, not named Lane but certainly named Dean, called her down to earth, up to earth a concept beyond her ken, and liked her, though she was good people, for being up not down, you could tell – she made this evident in little ways, ways that were certainly not enormous. The shallows, remember them, lapped from different directions, and can you keep track of all the directions I’ve given readers, at the tree, downed we must remind you, as if almost teething on it, bite bite bite. Sometimes when alone and thinking, because he could not think when he was with her, or struggling to turn a matter over to Jesus Christ in prayer, all this while praying, he would find himself, up down, putting his fist in his palm, teething like the downed tree, we could suggest, and turning it slightly, up down, as if still playing and pounding and teething and upping and downing his glove to stay sharp and alert in center, center being a position that was neither up nor down. He did not do this now, it would be cruel and indecent and entirely disrespectful to the teething downed tree to do this now, or to do it now later, or to later do it now. The older individual, still twelve spaced tables away, stood beside his picnic table, still twelve tables away – he was at it but not sitting, certainly standing up like Lane and his girlfriend we’re sitting up and forward – and looked also out of place in a suit coat or jacket or skirt or hat or cap or the kind of things that are on my mind when I consider the sartorial offerings, up and down, over the past century or really just the kind of men’s hat Lane’s grandfather, who was not named Lane Dean but had sired Lane Dean, who in turn sired Lane Dean, Jr., wore in photos as a young insurance man, certainly not old in these photos. He appeared to be looking across the lake, new direction. If he moved, Lane didn’t see it or discern it or distinguish it or any number of verbs you would associate with observation. He looked more like a picture, a picture reminiscent of Lane’s grandfather who was named Dean but not Lane Dean, than a man. There were not any ducks in view, damn damn damn downed trees getting in the way not up but down and not across but occluding the ducks. 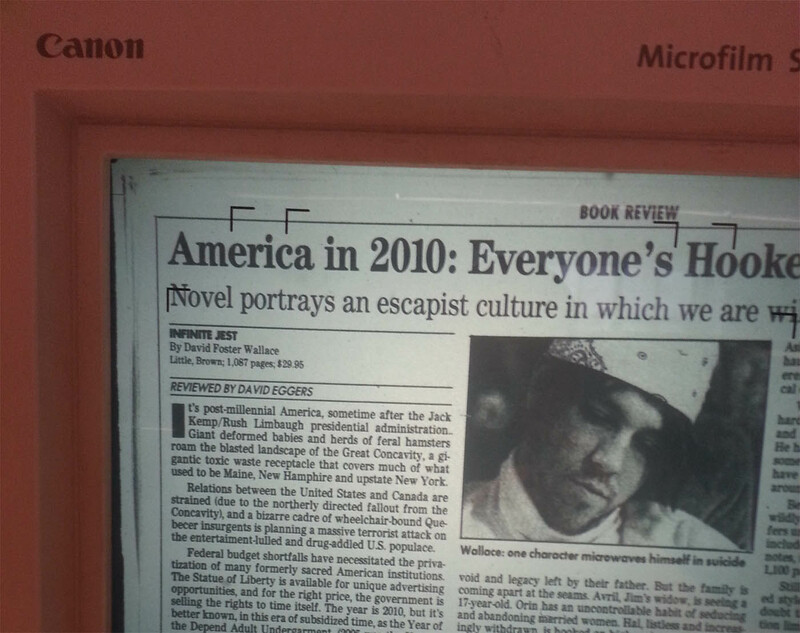 DFW’s paragraph is 502 words. My revised paragraph is 1,209 words. Lane A. Dean, Jr. and his girlfriend sat at a picnic table. They’d gone to different high schools but attended the same junior college. Now it was springtime and they were near a lake. The air was suffused with honeysuckle and lilacs, almost too much for them to take in. The recent storms had downed trees. One tree had collapsed near the shallows of the lake where Lane and his girlfriend were now sitting. Lane liked his girlfriend and her smell, but he was distracted by another man, whose incongruous hat reminded him of his grandfather. This stranger was still, more like a man than a picture. DFW’s paragraph is 502 words. My revised paragraph is 107 words. The Howling Fantods has word of Jest Fest ’06, an evening of DFW readings with such luminaries as Time‘s Lev Grossman, The Onion‘s Todd Hanson, Laura Miller, and bigtime DFW junkie John Krasinski (that dude who plays Jim from The Office, who you might recall is trying to get the film version of Brief Interviews with Hideous Men off the ground). The fun goes down on November 16 at 7:00 PM at Housing Works. Admission is free. The Howling Fantods speculates on the possible Brief Interviews with Hideous Men movie. John Krasinski, who plays Jim on The Office, is reportedly using his series hiatus to get the movie prepped. Krasinski is writing the script for a possible November filming date. Another day, another Robert Birnbaum interview. This time: Uzodinma Iweala. Concerning the Jonathan Ames testicle controversy, it seems that the testicle is ahead of the shadow by a ratio of 5 to 1. Whether this will have any long-term impact on future perceptions of Jonathan Ames books remains to be seen, but there’s a rumor floating around that Augusten Burroughs has been considering “an accidental photo” for his next book. Just remember that Jonathan Ames was the first one there. Believe it or not, Ivan Turgenev’s one and only play, A Month in the Country, is playing in North Carolina. Free Gutenberg text here. Background info here. It started with a harmless exchange of information, but Maud and I have been trying to figure out why the Graham Greene-Anthony Burgess relationship was so strange. I sent Maud an interview with the two authors that I had read in Burgess’ But Do Blondes Prefer Gentlemen?. Jasper Milvain dug up more, pointing out that Greene disowned the interview, claiming that “Burgess put words into my mouth which I had to look up in the dictionary.” The two authors fell out, apparently by 1990, when Burgess published his second autobiographical volume, You’ve Had Your Time. And while I don’t entirely trust Wikipedia, the Anthony Burgess entry notes, “In 1957 Graham Greene asked him to bring some Chinese silk shirts back with him on furlough from Kuala Lumpur. As soon as Burgess handed over the shirts, Greene pulled out a knife and severed the cuffs, into which opium pellets had been sewn.” Now if that latter tidbit can be corroborated, then it’s just possible that the Burgess-Greene relationship might be one of the strangest in literary history. As soon as I get an opportunity to hit the library, I’m going to follow up on all this. Did Burgess and Greene love to hate each other? Or did they hate to love each other? Or was it a little bit of both? Perhaps some bona-fide authorities might have some answers to all this. Monday mid-afternoon. I was in Oakland, observing a blue minivan pocked with dents trying to negotiate the BART parking lot with a grinding flat tire. I reached Agent 99 by phone. 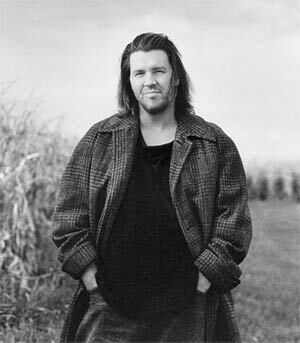 Agent 99 reminded me that David Foster Wallace, author of Infinite Jest and a smart and dreamy hunk to be reckoned with (or at least that was pretty close to how Agent 99 described him), was in my town for an event hosted by the Booksmith. I told her we’d be in touch in two hours. I was paying a visit to a friend, a man who had taught me a seminal life lesson during a table tennis game. The appointment was inflexible, my devotion inexorable. Sometimes miracles do happen when you’re unwilling to spring for cabfare. And by 6:30 PM, I was ready to boogie, having arrived in record time across the Bay. Along the way, I had even managed to scarf down a tortilla for sustenance. In my bag: (1) a copy of Consider the Lobster that would serve as pretext for a tete-a-tete with DFW, (2) a minidisc recorder and (3) a microphone. All portable, all battery powered. Operation DFW was under way. The objective: to see if I could get DFW to sit down for an interview. Others had tried. But these were mere amateurs. They had not possessed the determination, if not a slightly unhealthy obsession, to talk with the author face to face. Would Joe Woodward go this far? Probably not. The man was a journalist, not a crazed litblogger. Then again, perhaps I had more Bob in my blood than he did. Agent 99 and I reconnoitered at the People’s Cafe. Efforts were made to contact Special Agents Tito Perez and Scott Esposito, but were unsuccessful. We arrived at the All Saints Church at 6:34 PM. No seats available. SRO. Agent 99 and I found standing positions at the back, flush center. As beads of sweat began to form on sundry foreheads, Special Agent Perez entered and spoke into his headset. He was part of a special triad of professionally trained assassins: one masquerading as a sweetheart, the other as a good friend from Berkeley. But I had witnessed at least one of these agents tear the heart out of a living man, proving to several naysayers that the Mortal Kombat universe wasn’t entirely implausible. The populated quarters meant that Perez’s team and mine couldn’t stand together. But as I learned later from the dossier, this was all part of the plan. Cover the action from two angles. Keep DFW on his toes. Let him believe that Special Agent Perez would be the rabid fanboy to approach him. Special Agent Perez was twenty-five feet to my left and I knew that there was only one dependable way to communicate under the circumstances: charades. I mimed Perez a two-word covert message. He parsed word one, but catastrophically failed to figure out word two. Since it was imperative that Perez understand the message, I took a professional risk and called him on my cell phone, feeling very much like a lazy man IMing a roommate who is sitting only a room away. Not my brightest hour. The message was conveyed. Thumbs up signs were exchanged. The preliminary stages of the operation had been effected. 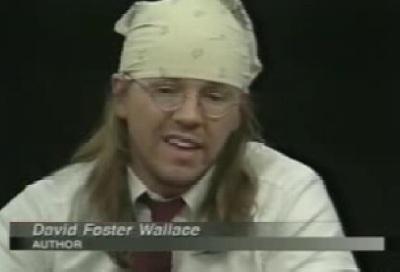 Eventually, DFW took the dais. 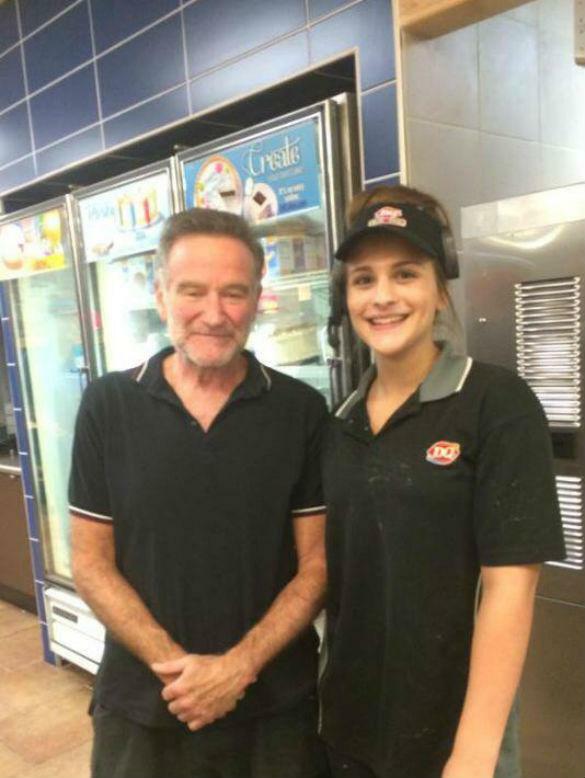 He was dressed in a short-sleeved black shirt worn over a blue tee and jeans. Factoring in his long hair, he resembled a Tai-Bo instructor. At least one young lady passed out in All Saints’ sweltering confines, but was restored to full health when one of our agents told her that DFW was a married man. Unfortunately, someone had tipped DFW off. He ordered anyone who was standing to sit down. It did not help that I was a particularly tall operative. Had he seen me scribbling down notes in my reporter’s flipbook? Damn! More training! I tried to signal Perez with a game of paper-rock-scissors, but Perez was quite transfixed, taking in DFW’s words as if DFW were Montezuma himself! With Perez momentarily out of commission, I sat down, situating myself outside of DFW’s direct gaze (lest he take me down with his stare as well). I should note that Agent 99 was one of the few ladies strong enough to resist DFW in spots (though not entirely, for even trusted assassins have their weak spots). A consummate pro from the get-go, it is my professional opinion that Agent 99 should be promoted to more intricate and dangerous levels of espionage. 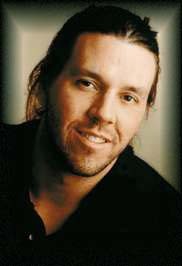 During his reading, DFW was, for the most part, a prominent elucidator. His voice shifted between the casual academic tone of a lecturer and, for certain words, a hard Midwestern dialect (“sur-REAL,” “gawn,” “SAWL-ice”). And when reading such phrases as “really looked like,” DFW would clarify with an adorably geeky timbre, the kind of gushing sensation of words caught in the throat that I’m sometimes guilty of. 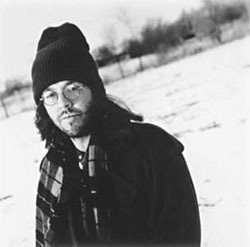 I wasn’t certain if the dialect bristled through because of nervousness or earnestness, but, having previously opined that DFW often came across as “a sincere computer programmer,” I’d conclude that his shoegazing reading approach (and preamble) was likely a way of coming to terms with this uncomfortable process. I looked around the room as DFW read and did not note a single person over 40. Agent 99 reminded me that this was mostly a young crowd. I was a bit surprised, however, that the crowd was mostly silent or engaged in scattered titters at parts in the essay that I had thought quite funny or revealing or distinctly DFWian. I got the sense that the people in this room had read this essay twice or more, certainly more times than me. They knew every intonation, every sentence, and it seemed as if some of them hoped that DFW would digress. Some of them were rapt, some of them were bored. Perhaps this is typical of a crowd who attends a reading. Or perhaps this was because there were people in this room who had not seen an author in the flesh for some time, if at all. Eventually, the reading concluded and DFW answered questions. DFW was asked about the notion of people crying or not crying, according to their abilities, in reaction to the September 11th coverage. What had DFW meant by that? DFW then noted that some of the people on the cruise were very nice, while also resembling without question “Jackie Gleason in drag.” He had exchanged postcard correspondence with some of the people. When the essay was published, he never heard from these people again. 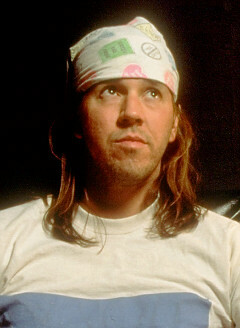 “I was really naïve,” said DFW. He had somehow formed the idea that nobody was going to read the essay. He also noted that he had found the crew horrible, but not the civilians. There was another question asked which I didn’t quite hear: something about “innocence” and the business side of writing. 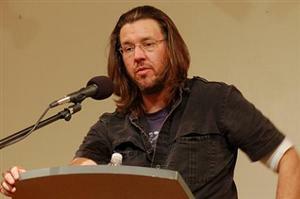 DFW responded by noting that his entrée into publishing was by complete fluke. With The Broom of the System, DFW rode in on a wave of Brat Pack titles marketed by Vintage Contemporaries, where the “youngness” of the author was a selling point – different now, given that one’s physical attributes are more of a factor. The major advice he had received was to “get an agent, get an agent.” And he had seen the other end of the publishing cycle while working at the Sonora Review, where 500 applications had come in during one semester for a “third-rate” literary journal. The agent then would give DFW a certain credibility to get through that pile. DFW has had the same agent (Bonnie Nadell) for twenty years. 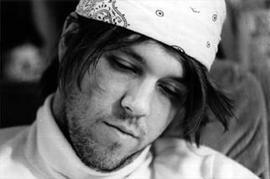 For everything DFW writes, he has a circle of 3-4 people that he clears his work through. Nadell is one of them. Often, Nadell responds to his writing by saying, “David, I really have no idea of what’s going on. Do you want me to send this out?” He compared a good agent with a good therapist. He said that any agent who charged a reading fee was bad. One of the initial struggles DFW had faced was worshipping the editor for his first two books. Without really going into a specific explanation as to why, there had been a break because DFW didn’t like this sensation. Agent Perez then asked a question about the Audible essays, asking if the “four hour unabridged” version included footnotes. This led to some talk about Michael Pietsch (not specifically named) as DFW’s editor. He noted that Pietsch operated against the typical publishing mentality whereby loyal company men end up working with the literary authors they desire. 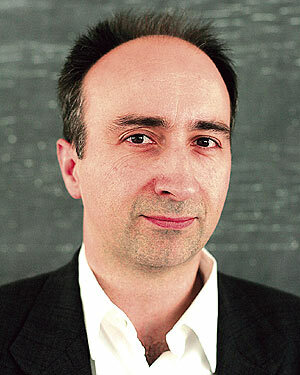 Pietsch makes quite a bit of money, edits music books, and also works closely with Joanna Scott and Rick Moody. There was some talk of the Audible essays being a way to recoup the development costs. But DFW had to cut the footnotes. When reading these, he also didn’t know the precise way to breathe. Further, there was some discussion about altering the sound quality between the footnotes and the texts. But DFW suggested that most people listening to this in their cars, lacking high-end digital audio, would likely not be able to tell the difference and that likely a different voice would be required. Thus, the footnotes had been cut. There was some talk about where to break sentences and whether there was any value to the idea that if it can’t be read out loud, it wasn’t worth reading. DFW noted that there were two voices: the out loud voice and the brain voice. And he wrote mainly for the brain voice. Apparently, DFW loves going to poetry readings, which opens up a whole new way of parsing text to him. He noted, however, that he had not written any worthwhile poetry himself. There was some additional info about “Mrs. Thompson.” DFW noted that he was “not comfortable” with the process of writing it because of the quick deadline, because he was getting older and the essay involved all-nighters and making trips to Kinko’s to fax things at 5 AM. At this point, the questions were over. And a good 70% of the people thronged into a line on the church’s southern side. Agent Perez’s triad had to take their leave for another unexpected assignment, which left Agent 99 and me contemplating just how to fulfill Operation DFW’s objective. I should note that several weeks ago, I had sent several emails to various publicists (including Pietsch). Many of the publicists were very kind, but it all went to pot. I should also note that I sent a very amicable and humorous letter to the Pomona College English Department with a free drink coupon. It had gone unanswered. Should I bumrush DFW with the microphone? Should I wait for the entire crowd to get their books signed and then approach him afterward? Should Agent 99 and I take this to a crazed and sociopathic level, kidnapping DFW, Suicide Kings-style, and demand that he answer our questions while bound in duct tape? Well, fortunately Agent 99 and I had clear heads. Given DFW’s temperament, a pugilistic or aggressive approach was probably not a good idea. But it was essential to go above and beyond Woodward’s efforts and see if DFW was indeed “not doing interviews for this book,” as claimed by Nadell. The one thing that Woodward had failed to do was to approach DFW directly. And I was determined to do just that. So I waited in line and began to feel slightly nervous. Asking DFW for an interview was a bit like asking the smartest and most attractive women you had ever met out for coffee. But then I realized that it was much better to just be straightforward about the request. After all, the least DFW could say was no. DFW responded with a slight scowl. To quell my nerves, I partially avoided eye contact, paying attention to the space between his nose and his cheek, just where his beard started. Not so surprisingly, I didn’t get the warm vocal timbre that he delivered to everyone else. 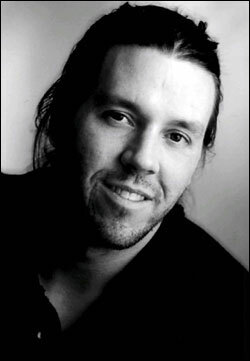 DFW said that he had obligations with friends afterwards. I noted again that I understood this, but that I reiterated that I wanted to ask him intelligent questions about his work in a respectful setting. I told him that I understood this and that I had seen the Charlie Rose interview, but that I would not be asking him about Clint Eastwood movies. I would be talking with him about Tom LeClair’s academic assessment of his work as “prodigious fiction” and the like. I also pointed out that he probably had more profound things to say than he expected. In an effort to shuttle me along, DFW suggested that if I could convince his agent to talk with him, then he would gladly talk the next time he came up. I then thanked him and momentarily lost my composure, muttering something about being “a huge fan” before giving him my card. And thus begins Operation Nadell – a far more arduous assignment. Objective: Convince Nadelll that I’m a guy worth talking to. Although given the revelations to be found in the Woodward article (“seemingly in a hurry to do something else, and answered each of my questions before I finished asking”), the probability is slim. Although Nadell is local and there is a good chance that I might run into her in person. But here is the question: Is it DFW or Bonnie Nadell that’s keeping DFW from interviews? Is this an effort to give DFW a Pynchon/Salinger-style mystique? Or has DFW really had enough of interviews for good? At least one Consider the Lobster reviewer has gone outright insane. This has been a review. On Monday night, I attended the David Foster Wallace/Rick Moody reading at the Herbst Theatre. But I do not offer a report here, predominantly because (a) I had essentially travailed from plane to apartment to evening entertainment in a remarkably short period of time as considerable rain hit my hatless head, (b) I forgot to bring my notepad, (c) my parietal lobe is presently overburdened and (d) I had decided to actually enjoy this particular event rather than chronicle it. However, for those who are curious, Mr. Tito Perez has offered his report on what went down, far better than anything I can offer here, given the four above preexisting variables. I’ll only add that Rick Moody proved to be less impressive than I expected, essentially an overgrown surfer dude in the guse of a public intellectual. (His squeaky “Hey dude” voice did not help.) Where Wallace riffed successfully on certain subjects, was quite self-deprecating and willing to confess his naivete to the crowd (by contrast, Wallace’s voice struck me as a pleasantly sincere computer programmer), Moody was unwilling to plead ignorance on certain subjects, often answering questions without any thorough understanding of the subjects. At one point, the subject of post-9/11 fiction came out. Moody opined that nearly all fiction had turned realist and predictable and that the critical climate encouraged this. Moody complained about some critics and reviewers of this genus who were quite savage in their analyses. B.R. Myers’ “A Reader’s Manifesto” was brought up, but Moody implied that Myers was, as is the fashion of post-9/11 literary criticism, going out of his way to belittle anything considered ambitious. Moody considered Myers’ recent review of Jonathan Safran Foer’s Extremely Loud and Incredibly Close to be one of the cruelest reviews he had read in recent memory. But I think Moody was missing Myers’ point and mischaracterizing him. For one thing, “A Reader’s Manifesto” was written before 9/11 and could not therefore be categorized as a reactionary response tied explictly to the political clime (and Moody seemed to believe that politics had an inherent effect on literature). For another thing, while it is clear to anyone that Myers does not care for pomo stunts, Myers’ initial manifesto essay was primarily concerned with asking where today’s Knut Hamsuns, Ernest Hemingways, Albert Camuses and James M. Cains might be found and why the current reading climate favored digression. If fiction concerns itself to some degree with realism, then why are pure exercises of this type discouraged? Even though I revel in reading postmodernism epics myself, I still think Myers’ question is a fair one to ask, if only to preserve a myriad of novelistic forms within the current literary climate. The evening’s primary problem was its format. Rick Moody was apparently the center of the evening, with David Foster Wallace attempting to interview him and Moody often failing to parse when Wallace was asking him a question. But in Moody’s defense, I am not certain if Wallace, who is a fantastic digressor in person, even knew when he was asking a question. Wallace had thoroughly prepared for this evening. His copy of The Diviners was meticulously tabbed and flagged and he had a thick file of all of the emails that the two men had exchanged with each other before this evening. And it was Wallace who read the passages. But Wallace’s mode of questioning involved a lengthy observation that he had espied from Moody’s novel, followed by a digression and then a moment of confusion when Moody failed to jump in. Make no mistake. When Wallace was off on a tangent, he was quite an interesting talker. Two high points of the evening involved Wallace pointing out the preprogrammed responses that come with preaching to the converted on either side of the political perspective and on the subject of irony (as explored in his essay “E Unibus Pluram”), where Wallace still maintained that a work of art that was unabashedly sentimental was more of a revolutionary act today than embracing the hip and edgy in contemporary art. But the evening was badly in need of a moderator. When two highly introspective writers attempt to interview each other on stage, inevitably you have lengthy periods of silence, mumbling and assorted confusion. The two men frequently asked the audience if they were indeed talking sensibly and articulately, and seemed genuinely mystified about why they were there. I was also highly perturbed by the wireless mike setup, which severely afflicted Wallace. 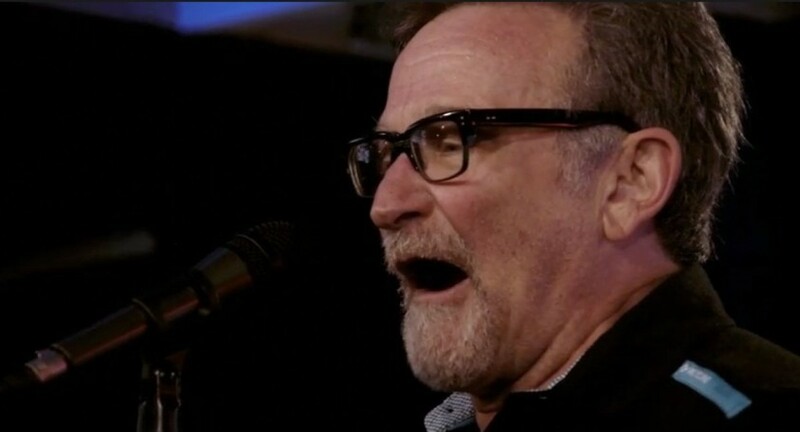 The mike had been placed catastrophically close to Wallace’s nose, resulting in the man coming across as a Midwestern Darth Vader. 4. The subject of last year’s National Book Awards ceremony, with the strange controversy of the “five women from New York,” came up. Moody suggested that he was surprised that so many people exepcted Philip Roth’s The Plot Against America to get its due, but suggested that innovation could only be found outside of the establishment. As an example of this, he cited an author he had found on the Internet who had written a story called “Four Square” (multiple search engines can’t seem to dig up this story and I don’t have the author’s name; so, if anyone has any leads, I’d appreciate it), where an author had divided each page into four quadrants and the reader jumped from one quadrant to another, following the story on each page.